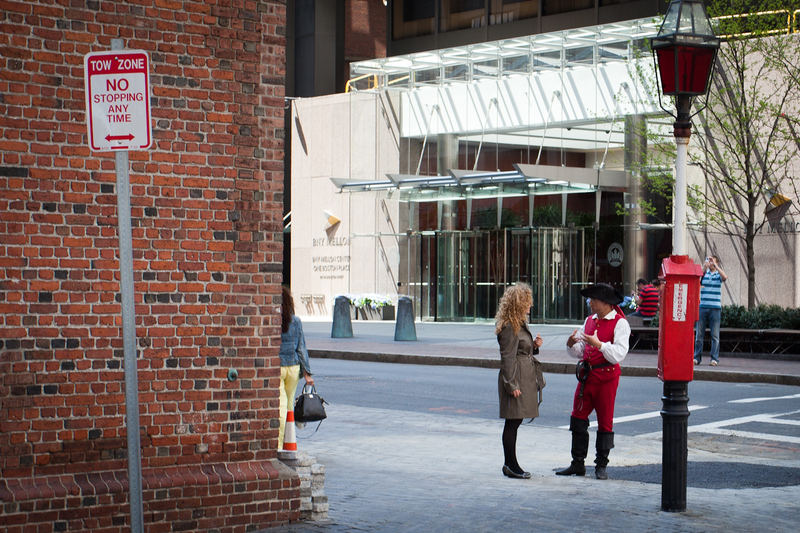 All I could think of when I saw these two conversing on the street in Boston: “One if by land, two if by sea! C’mon, lady, how hard can this be to remember? !” Heavily cropped, but not much processing on this photo otherwise.